The third and fourth step in the long process of understanding Computer Aided Design (CAD) begins with the understanding of automating the drawing process and therefore allowing the designer and their customer the luxury of viewing and examining more than a single design. In the last thirty years, the pace of custom design processes in industry has quickened, requiring a greater level of detail in manufacturing and construction documentation. In a way, CAD software has aided every company in these years to provide every aspect in the release package to the contractor or shop manager. An area that is still largely under utilized by almost every major engineering firm is automated software packages that will create the entire drawing set or even a single sheet from a list of data or a series of answered questions. This is largely due to the lack of knowledge and experience in this area coming out of CAD training institutes, junior colleges and universities. 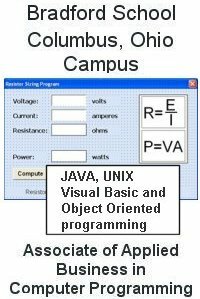 Also, if one selects a textbook from the few available on the subject, you are confronted with the same problem in other programming language training, that is a lack of any uniform standard, where every program is a reinvention process. Just this single concept is foreign to the architectural and engineering family of disciplines, where previous design principles and procedures are applied in nearly every situation. World Class CAD solves the dilemma.